The Michigan Environmental Laboratory Association (MELA) awards one or more $1000 scholarships each year to students interested in environmental chemistry and the related sciences. Bryce McHale was a dedicated MELA member and well respected environmental chemist and the scholarship is awarded in his memory. In 2014 two $1,000 scholarships will be awarded to deserving applicants from any university or 4-year college in Michigan majoring in environmental science or related field including (but not limited to); biology, chemistry, geoscience, hydrogeology. To be eligible, scholarship applicants must be enrolled as full time students (carrying a minimum of 12 undergraduate credits) any Michigan university or 4-year college. Applicants must be sophomore or junior level undergraduates to apply. MELA is seeking students who have experience in the environmental sciences including; field investigation, sampling, chemical or biological testing and data analysis. 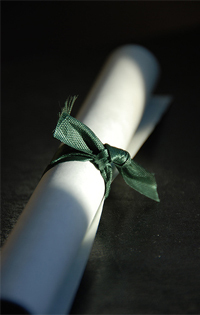 A completed Scholarship application must include the following: an essay (which includes a brief biographical sketch and how you feel your education/research may help you build a career that has an impact on environmental issues), a copy of your transcript and at least one letter of reference. Details regarding the eligibility requirements for each school and required application information, including the application due date can be found under “Scholarship Application Instructions”. 2018 Nicholas Wills UofM-Flint ? 2017 Stephen Plont MSU From Wet to Dry: How Does Intermittency Influence Carbon Chemistry in Headwater, Mountain Streams? please contact the MELA Scholarship Committee by clicking this link.